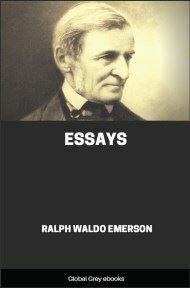 A collection of seven lectures, published as a book of essays in 1850. 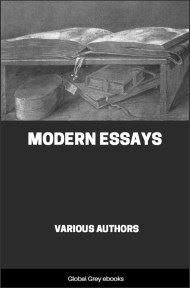 The first essay discusses the role played by "great men" in society, and the remaining six each extoll the virtues of one of six men deemed by Emerson to be great: Plato ('the Philosopher'); Emanuel Swedenborg ('the Mystic'); Michel de Montaigne ('the Skeptic'); William Shakespeare ('the Poet'); Napoleon ('the Man of the World'); and, Johann Wolfgang von Goethe ('the Writer'). IT IS NATURAL to believe in great men. If the companions of our childhood should turn out to be heroes, and their condition regal it would not surprise us. All mythology opens with demigods, and the circumstance is high and poetic; that is, their genius is paramount. In the legends of the Gautama, the first men ate the earth and found it deliciously sweet. Nature seems to exist for the excellent. 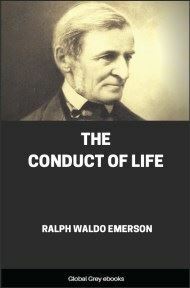 The world is upheld by the veracity of good men: they make the earth wholesome. They who lived with them found life glad and nutritious. Life is sweet and tolerable only in our belief in such society; and, actually or ideally, we manage to live with superiors. We call our children and our lands by their names. Their names are wrought into the verbs of language, their works and effigies are in our houses, and every circumstance of the day recalls an anecdote of them. The search after the great man is the dream of youth and the most serious occupation of manhood. We travel into foreign parts to find his works — if possible, to get a glimpse of him. But we are put off with fortune instead. You say, the English are practical; the Germans are hospitable; in Valencia the climate is delicious; and in the hills of the Sacramento there is gold for the gathering. Yes, but I do not travel to find comfortable, rich and hospitable people, or clear sky, or ingots that cost too much. But if there were any magnet that would point to the countries and houses where are the persons who are intrinsically rich and powerful, I would sell all and buy it, and put myself on the road today. The race goes with us on their credit. The knowledge that in the city is a man who invented the railroad, raises the credit of all the citizens. But enormous populations, if they be beggars, are disgusting, like moving cheese, like hills of ants or of fleas — the more, the worse. Our religion is the love and cherishing of these patrons. The gods of fable are the shining moments of great men. We run all our vessels into one mould. Our colossal theologies of Judaism, Christism, Buddhism, Mahometism, are the necessary and structural action of the human mind. The student of history is like a man going into a warehouse to buy cloths or carpets. He fancies he has a new article. If he go to the factory, he shall find that his new stuff still repeats the scrolls and rosettes which are found on the interior walls of the pyramids of Thebes. Our theism is the purification of the human mind. Man can paint, or make, or think, nothing but man. He believes that the great material elements had their origin from his thought. And our philosophy finds one essence collected or distributed. If now we proceed to inquire into the kinds of service we derive from others, let us be warned of the danger of modern studies, and begin low enough. We must not contend against love, or deny the substantial existence of other people. I know not what would happen to us. We have social strengths. Our affection toward others creates a sort of vantage or purchase which nothing will supply. I can do that by another which I cannot do alone. I can say to you what I cannot first say to myself. Other men are lenses through which we read our own minds. Each man seeks those of different quality from his own, and such as are good of their kind; that is, he seeks other men, and the otherest. The stronger the nature, the more it is reactive. Let us have the quality pure. A little genius let us leave alone. A main difference betwixt men is, whether they attend their own affair or not. Man is that noble endogenous plant which grows, like the palm, from within outward. His own affair, though impossible to others, he can open with celerity and in sport. It is easy to sugar to be sweet and to nitre to be salt. We take a great deal of pains to waylay and entrap that which of itself will fall into our hands. 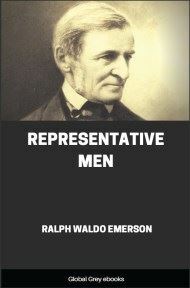 I count him a great man who inhabits a higher sphere of thought, into which other men rise with labor and difficulty; he has but to open his eyes to see things in a true light and in large relations, whilst they must make painful corrections and keep a vigilant eye on many sources of error. His service to us is of like sort. It costs a beautiful person no exertion to paint her image on our eyes; yet how splendid is that benefit! It costs no more for a wise soul to convey his quality to other men. And every one can do his best thing easiest. “Peu de moyens, beaucoup d’effet.” He is great who is what he is from nature, and who never reminds us of others. But he must be related to us, and our life receive from him some promise of explanation. I cannot tell what I would know; but I have observed there are persons who, in their character and actions, answer questions which I have not skill to put. 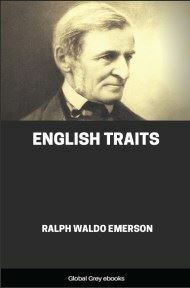 One man answers some question which none of his contemporaries put, and is isolated. The past and passing religions and philosophies answer some other questions. Certain men affect us as rich possibilities, but helpless to themselves and to their times — the sport perhaps of some instinct that rules in the air; — they do not speak to our want. But the great are near; we know them at sight. They satisfy expectation and fall into place. What is good is effective, generative; makes for itself room, food and allies. A sound apple produces seed — a hybrid does not. Is a man in his place, he is constructive, fertile, magnetic, inundating armies with his purpose, which is thus executed. The river makes its own shores, and each legitimate idea makes its own channels and welcome — harvests for food, institutions for expression, weapons to fight with and disciples to explain it. The true artist has the planet for his pedestal; the adventurer, after years of strife, has nothing broader than his own shoes.